Lisa Selman-Holman, JD, BSN, RN, HCS-D, COS-C, HCS-O, is a home care veteran with more than 30 years spent in home health and hospice, both as an RN and as an attorney practicing exclusively in home care. 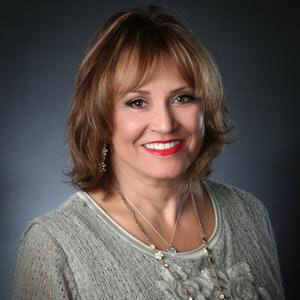 She is the President of Selman-Holman & Associates, A Briggs Healthcare Company, a full-service home care consulting firm; CoDR-Coding Done Right, a coding outsource and audit company; and CodeProU, online coding and OASIS education. Lisa’s extensive experience in home care provides great insight into clinical operations. Lisa is the chair of the Board of Medical Specialty Coding for the Homecare Coding Specialist-Diagnosis (HCS-D), Homecare Clinical Specialist-OASIS (HCS-O) and Homecare Coding Specialist-Hospice (HCS-H) certifications. She is an AHIMA Approved ICD-10-CM Trainer. 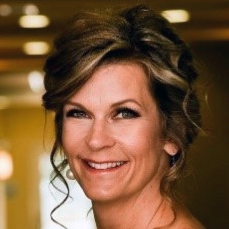 Teresa Northcutt, BSN, RN, COS-C, HCS-D, HCS-H, has provided educational programs on OASIS assessment, ICD-9 and ICD-10 coding, agency communications and processes, documentation, quality outcome improvement, and care transitions for regional and state conferences. 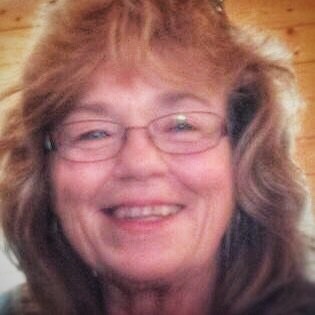 With 35+ years of experience as Clinical Services and QI/Education manager with home health agencies, a hospital patient educator and quality improvement facilitator, and a program manager with Primaris, the Missouri QIO, Teresa brings comprehensive and contemporary knowledge of home care and quality improvement methods. Teresa joined Selman-Holman and Associates in 2011, and is certified in OASIS competency (COS-C), Homecare Coding Specialist-Diagnosis (HCS-D) and Homecare Coding Specialist – Hospice (HCS-H). Susie Adams, BSN, RN, HCS-D, is a Coding Specialist for LHC Group, Inc., Lafayette, Louisiana. Adams has been in the Home Health and Hospice setting for the last 12 years, holding various positions of field nurse, Performance Improvement Nurse, Hospice Director, and Outcomes Coordinator. 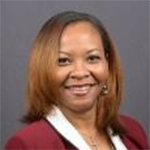 Adams currently serves her company as a coding educator as well as an internal coding auditor. Adams provides monthly educational opportunities to coders and agency leaders. In addition, she serves as a coding resource to both the coding team as well as agency leaders when they are faced with unusual or complex coding scenarios. She is actively involved in orienting new clinicians to standards of ethical coding and coding requirements. Presently, Adams is focusing on training staff members to raise the bar on competency for Diabetes and Cardiovascular coding to meet the demands of upcoming PDGM enhancements. Kristi Bajer, BSN, RN, started in home care as an RN case manager. Over the last ten years she has been a Director of Nursing, Administrator and most recently a Regional Director over six agencies in Texas. As a regional director, she facilitated multiple no deficiency accreditation surveys by The Joint Commission. She also developed evidence-based practice disease specific care pathways for the top DRGs in her region decreasing readmission rates. Kristi is now assisting agencies who need to re-engineer their care delivery and OASIS processes and providing training on using data to drive QA and patient management. 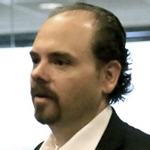 Jason Jones is responsible for product and technology strategy for Briggs Healthcare and its subsidiaries. Over the past eight years, Jones spearheaded the development of groundbreaking workflow and predictive analytics software that is now in use at over 3,000 skilled nursing facilities. He is currently developing similar tools for the home health and hospice industry. As a recognized expert in healthcare data analytics, Jason speaks on technology topics in numerous nationwide forums and industries. Sue’s professional experience has included 39 years as a Registered Nurse and 25 years as a Certified Wound, Ostomy, Continence Nurse. She attended the University of Texas MD Anderson Cancer Center WOC Nurse Education Program graduating in 1994. Having accumulated a broad range of experience as a hospital based clinician, a home health clinician, and as a Clinical Practice Specialist, she has spent the last 26 years working with a focus in the Home Care Practice Setting. She is knowledgeable regarding the WOCN Society best practices relating to in-patient and home based wound and ostomy management. Experience has included shared responsibility for development and implementation of corporate wide educational programs targeted to multi-disciplinary staff, development of wound care teams in post acute care settings including home care and long term acute care facilities, and assisting with chart audits for nationwide managed care and post acute care companies. She has also received her certification for Home Care ICD-10 Coding and OASIS. Dee, a physical therapist for 30 years, is a past administrator and co-owner of a Medicare-certified home health agency. 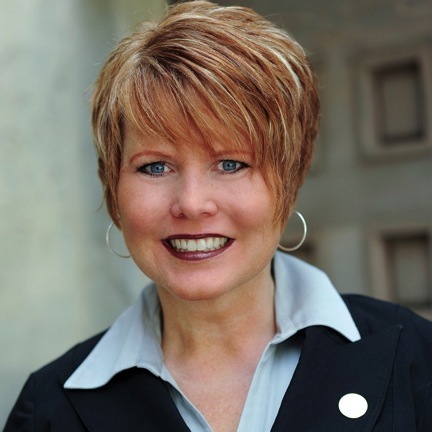 Dee now provides training and education to home health industry providers as Owner/Founder of a consulting business, Kornetti & Krafft Health Care Solutions, with her business partners Cindy Krafft and Sherry Teague. 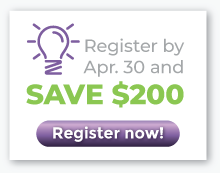 Dee is a nationally recognized speaker in the areas of home care, standardized tests and measures in the field of physical therapy, therapy training and staff development, including OASIS, coding, and documentation, in the home health arena. 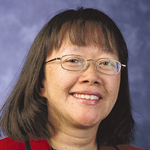 She is current President of the American Physical Therapy Association’s Home Health Section and serves on the APTA’s national Post-Acute Work Group. She serves as the President of the Association of Homecare Coding and Compliance, and a member of the Association of Home Care Coders Advisory Board and Panel of Experts. She has served as a content expert for standard setting for Decision Health’s Board of Medical Specialty Coding (BSMC) home care coding (HCS-D) and OASIS (HCS-O) credentialed exams. 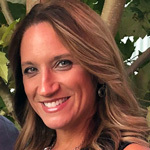 She serves on Medbridge’s Advisory Board for development of educational content on its home health platform and has authored several courses related to OASIS, CoPs and therapy. Annette is a registered nurse, with a Master’s in Health Care Administration, practicing since 1990, with the majority of her nursing experience in home health. For over a decade she worked with the CMS intermediary where she provided review of, and education on home health and hospice payment and documentation. 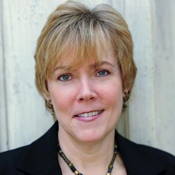 Annette then founded Provider Insights, Inc. to provide consultation and education regarding Medicare reimbursement issues and effective documentation strategies, assisting providers with ADRs and appeals. Today she marries together her experience in the “real world” and the inside knowledge of Medicare to ensure providers can meet the requirements of CMS, and ensure compliant, efficient operations. She presents nationally on OASIS, PPS, documentation and coverage. Annette holds both the Certificate for OASIS Specialist-Clinical and the Home Care Coding Specialist-Diagnosis certification. Nelly is responsible for leading the AHA Central Office on ICD-9-CM, ICD-10-CM and ICD-10-PCS and Central Office on HCPCS. The AHA Central Office, in cooperation with the National Center for Health Statistics (NCHS), the Centers for Medicare and Medicaid Services (CMS) and the American Health Information Management Association (AHIMA), serves as the authoritative source on ICD-9-CM relative to health care payment systems, statistical reporting, and health services research. She represents the AHA as one of the four ICD-9-CM and ICD-10-CM/PCS Cooperating Parties responsible for the development of the Official Guidelines for Coding and Reporting. She is also the editor of AHA Coding Clinic® for ICD-10-CM and ICD-10-PCS and AHA Coding Clinic® for HCPCS, and author of ICD-10-CM and ICD-10-PCS Coding Handbook. 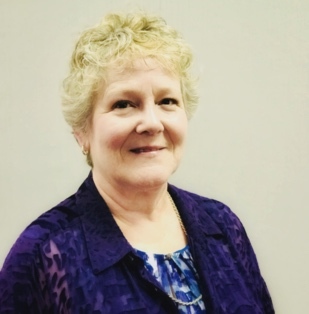 She has over 35 years of experience in the health information management field including consulting, teaching, technical and management experience in hospital medical record departments. 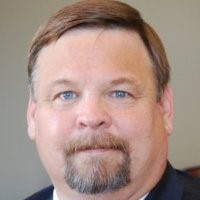 Michael McGowan is a former State/CMS Region IX OASIS coordinator and president of Opera Care, LLC, Based in Socorro NM. The company utilizes OASIS based predictive OASIS analytics to exploit the entirety of PPS system, establish financial predictability, minimize ADRs & Audit risks, Standardize the delivery of care, and monitor OASIS outcomes. The company’s remote monitoring services mimic Intermediaries and audit contractor’s activities to pre-identify HHA’s risks and validate the care they deliver. Petria McKelvey is CEO and Founder of Precision Medical Billing (PMB), a leading provider of customized medical billing and auditing solutions for home health and hospice agencies, physicians, and hospitals across the U.S. With 30 years of experience in the medical billing industry, Petria’s expertise runs wide and deep. Throughout her career, she has helped hundreds of private practitioners and healthcare organizations solve their billing challenges and recover millions of dollars in lost revenues to successfully keep their doors not only open but profitable. To date, she has personally performed more than 1,000 audits and revenue recoveries nationwide. Petria’s passion is taking care of healthcare providers by ensuring they have successful revenue cycle management, so healthcare providers can get back to their patients. Sparkle is a physical therapist who has been in home care since 1996 as a direct care provider, staff educator, PPS analyst, OASIS & ICD-9/ICD-10 coding instructor and consultant. She draws from this extensive background to provide practical education that is both fun & effective. Sparkle is nationally known from her roles at both OASIS Answers and Fazzi Associates for her humorous approach and ability to explain difficult topics in terms that everyone can understand. 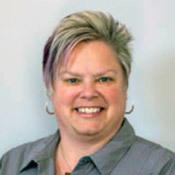 Sparkle was the 2007 recipient of the American Physical Therapy Association’s “Excellence in Home Care Award.” Her latest professional endeavor has led her back to Sutter Care at Home where she is the Program Manager for OASIS and Coding.